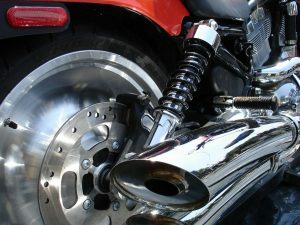 While many associate the summer months with higher risk for motorcycle riders, the risk of motorcycle accidents actually hits a peak about this time every winter in Florida. The weather up north is at its worst. And so is the traffic in Southwest Florida. Daytona Beach Bike Week takes place March 9 to March 18. And SWFL motorcycle winter riding season is entering its prime. Associates and Bruce L. Scheiner has been representing accident victims in Southwest Florida for almost 50 years. Our experienced motorcycle injury lawyers have spent our careers advocating for rider rights, both in the courtroom and throughout our local communities. For more than a decade, we have provided title sponsorship for Cape Coral Bike Nights, and are proud to do so again this year. This year’s third Cape Bike Night event took place on Feb. 10. Another event is scheduled for April 14, however the Cape Coral Streetscape Project may force a change. The local riding events have gotten bigger every year and the improvements the city is making will provide even greater potential in the future. Those outside the riding community often blame riders for accidents and point to the inherent risk of serious injury. But the fact remains the vast majority of traffic collisions involving motorcyclists prove to be the fault of the motorist. Riders know the risks, after all, and are typically extra caution as a result. Nationwide, the federal government reports nearly 5,000 riders are killed each year. Another 100,000 are injured in riding accidents. In Florida, fatal motorcycle accidents claimed 577 lives in a recent year, more than anywhere else in the nation. Statistics continue to show most riders are injured on city roads, between intersections, in daylight hours amid clear weather conditions. Put simply, motorists are just not doing a good enough job of watching for riders. 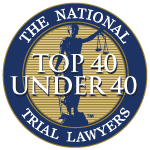 From a legal standpoint, these are often complex cases involving very serious or fatal injuries. Our personal injury lawyers and wrongful death attorneys begin to work for our clients from the moment they reach out to our office. Providing injured riders and their families with every available resource is our highest priority. Medical and rehabilitative care is our first focus, but even then we are already using decades of experience and professional consultants to build your case — beginning with a thorough review of the accident report and scene of the crash. In too many cases, motorcyclists are wrongly blamed, or partially blamed, for causing a collision. Identifying all available insurance resources is another critical issue. Florida’s mandatory insurance minimums require motorists to carry just $10,000 in personal injury protection (PIP) and $10,000 in property damage liability (PDL) coverage. So in many cases, an at-fault motorist lacks insurance, or lacks adequate insurance to cover the full costs associated with a collision. In these cases, our accident lawyers may turn to a rider’s own insurance coverage and it is for this reason we urge all riders to carry uninsured/underinsured motorist coverage. It’s best to have an experienced accident attorney handle such cases, even when dealing with your own insurer because if you attempt to file a claim, your insurer will treat you as it would any other claimant — not as a customer.